DrGabe's Miniatures: Games Are For Everyone! The past week while on vacation along the shores of Lake Michigan, I had the opportunity to share some games with my younger nephews. While they have seen some of my miniatures in the past, they are anything but gamers. One plays World of Warcraft, but that hardly seems like a gamer's game these days! One night, when everyone was recovering from a long day at the beach I introduced them to Munchkin... and I don't think they ever stopped playing. For most of the rest of the trip their parents looked at me the dicontempt you might save for a short-order cook who keeps burning the eggs. But it din't bother me in the least! Take some time to introduce your family and friends to games. 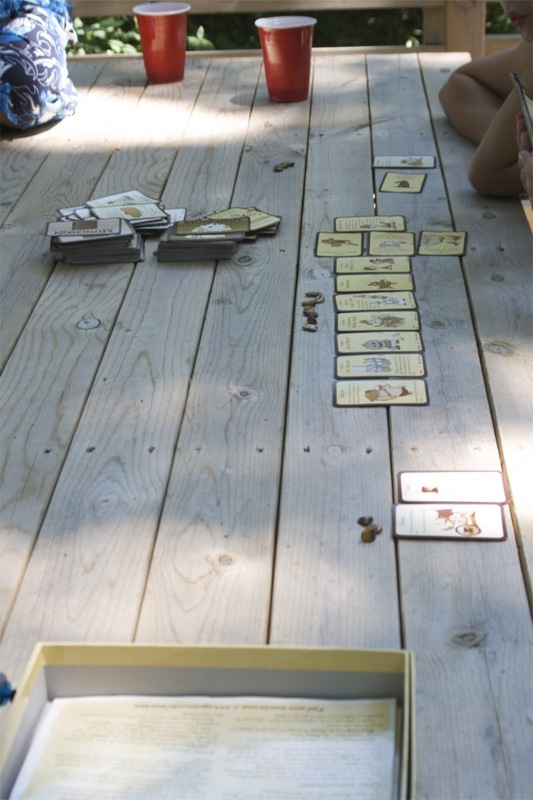 Simple card games like Munchkin are a great start into the gaming world with a simple, yet fun concept. I later played a few games of Ticket to Ride with my in-laws, who really enjoyed the train empire building concept. Now when I break out my little miniature men and some dice, it seem much less odd and superstitious and just a variation of that other board game we played last week. GenCon Indy is less than two weeks away!! Are any of you planning to go? If so, let me know. On the painting table: Imperial Guard Vet Squad; Kroot (!?! ); Individual Models for Rogue Trader (Warhammer 40K Roleplay). Congrats on being able to work in some gaming time during the family vacation. I really want to try out Munchkin but have never gotten a chance to play. I bought the Cthulhu edition and a couple of expansion decks just cause it was Steve Jackson with Cthulhu stuff. I mean, how could I go wrong? It looks cool enough so I suppose I should track down some recruits to play it with me. What's the recommended minimum age? I introduced the wife to Munchkin at Origins this year - she loved it! She did pretty well, too! We'll be attending GenCon also - I can't wait!